MCH Group, the Swiss-based firm behind the Art Basel fair franchise, announced today (2 November) that it would no longer pursue the growth of its regional art fair portfolio. In addition to selling its shares in Art Düsseldorf and the India Art Fair, the group will not participate in Singapore’s new Art SG, the first edition of which was planned for the fall of 2019; additionally, its automotive show, Grand Basel, will not expand to Miami Beach next year. The announcement, made just weeks before Art Basel Miami Beach opens, comes on the heels of a tense summer for the company after its chief executive, René Kamm, abruptly resigned in August following Swatch’s high-profile exit from the group’s Baselworld watch fair, considered one of the foremost luxury good trade fairs in the world. According to an official statement issued by MCH Group, the decision to pull out of certain art fairs is part of a strategic review of its initiatives and investments intended to stabilise the company in light of the “profound transformation required to meet the fundamental changes coming about in the exhibition and event industry”. "We must and wish to further develop our classical live-event competence into an integrated experience-marketing competence in the physical and digital fields," Hans-Kristian Hoejsgaard, the interim chief executive of MCH Group since September, says in the statement. Swatch Group’s chief executive, Nick Hayek, has been outspoken about the declining importance of trade fairs in the luxury industry and was openly critical of Baselworld, calling the organisers “arrogant”, as reported by The Financial Times in August. Started in 1917, Baselworld was a major cornerstone of MCH Group’s holdings, but its exhibitor numbers plummeted by half between 2017 and 2018. In the wake of Kamm’s resignation following Hayek’s critique, MCH Group said in a statement that there would be no ripple effect for the Art Basel fairs and initiatives, adding that it “is a very healthy division within MCH Group and is financially in a very sound position”. 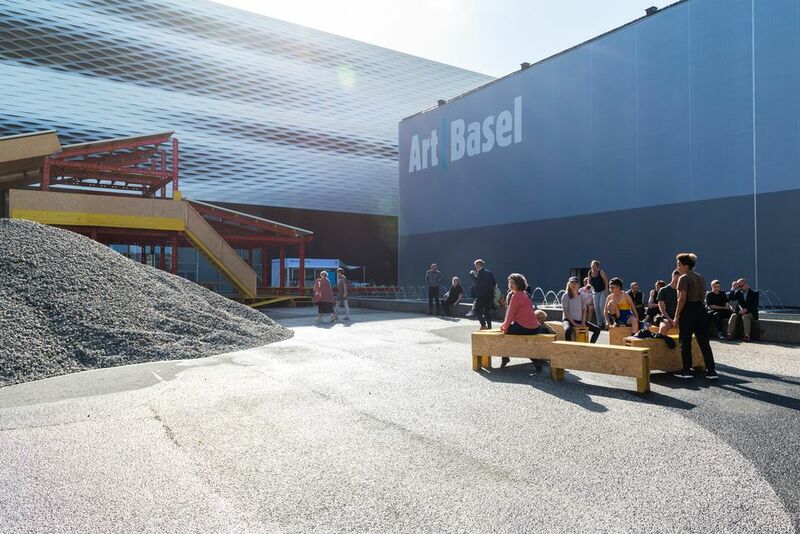 Art Basel shows and Art Basel Cities projects will continue despite the other cuts. Masterpiece London has also been confirmed to expand after months of speculation as to whether it would launch another edition after the Baselworld debacle. In a recent statement to The Art Newspaper, Hoejsgaard said: “We are working closely with the Masterpiece team to identify options in Asia and the US at present. We hope to announce details of the first additional fair, which will likely take place in 2020, in the first half of 2019.” Per the latest news, the site of the second Masterpiece will take place "likely in Asia", which is unsurprising given the financial boon that Art Basel Hong Kong has proven to be. Since 2017, MCH has held a 25.1% share in Art Düsseldorf and a controlling 60.3% stake in the India Art Fair, both of which it will now divest. The company says the sustainability or possibility of various other national fairs is under review and will be decided within the next few months. “Our biggest challenge lies in finding the right balance between the measures required to stabilise the company and the investments which—despite limited resources—we must make in the future," Hoejsgaard says.